Made this table for my Fiance’s Christmas present. She wanted something extendable but with a good amount of leg room as I will be building a storage bench for it as well. I jointed the base with mortise and tendons, my first time making joints like that. The sliders are from Osborne wood products, I was very pleased with them. I finished the table with Bear Enamel. Looks great. I like the spareness of the design. What is the top made from? How was the enamel applied? Originally I had a plywood top with maple edging but I had a hard time getting a perfectly smooth and seamless joint. So I ended up getting a couple pieces of prejoined stain grade boards. For the enamel I rolled the top with a foam roller and brushed the rest. 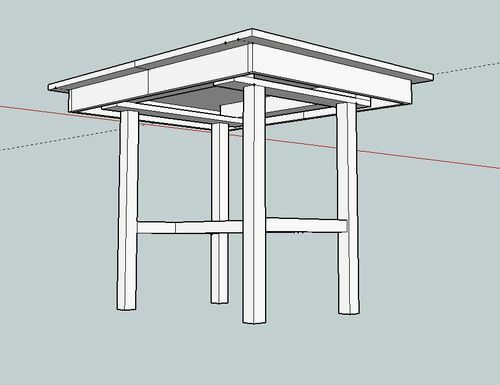 Forgot to mention that I designed the table in sketchup. 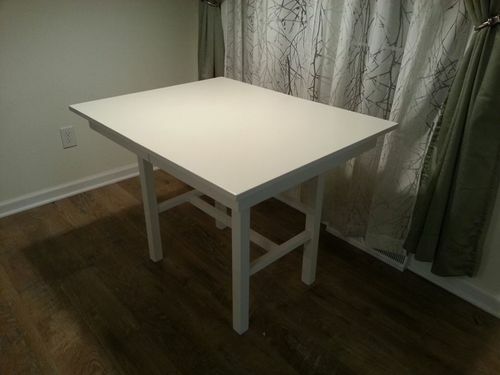 It really helped with making the table proportions look good. Not to mention a very nice cut list.